Revamp CRM, Import and export your data easily inside our CRM. We’re equipped with a tool to make it easy to import data into our system. Supported files include .csv, .txt, .xml, and .xlsx. You can also connect 24+ tools and apps to import and sync data in a matter of minutes to help you save time and know your customers better via an unmatched 360 view. Migrating from other CRM software have never been easier. You can export data in spreadsheets and import them into Revamp CRM. 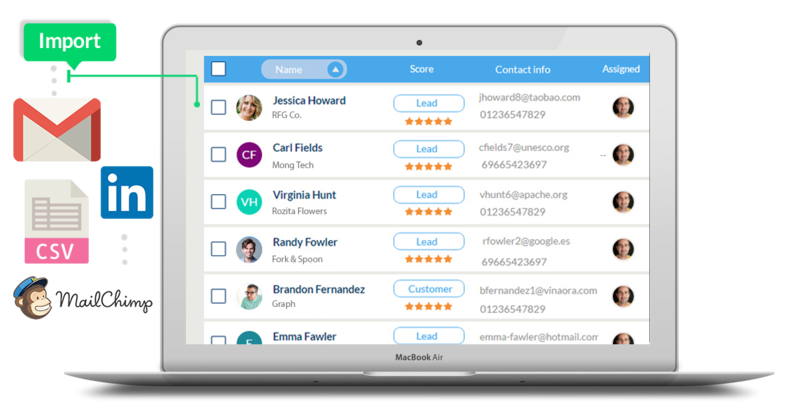 Use our custom Fields to tailor data to match your business needs, track extra contact details and map additional fields from Web Forms or CSV files. Our system help you sync data automatically with other apps and tools to help your streamline your business workflow. 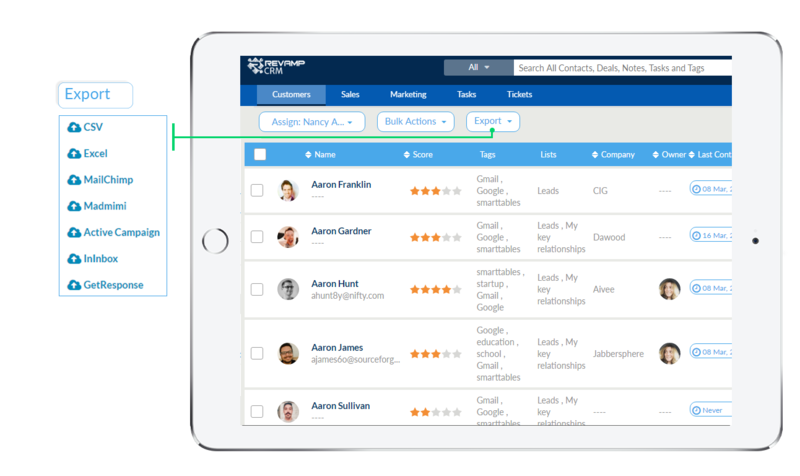 For example, you can sync your segments and lists inside Revamp CRM to your email marketing tool such as Mail Chimp, Active Campaign, Constant Contact and more. Enjoy a two-way sync with Google Calendar and Google Contacts. Whether your working inside Revamp CRM or Google Apps your data will always look the same.